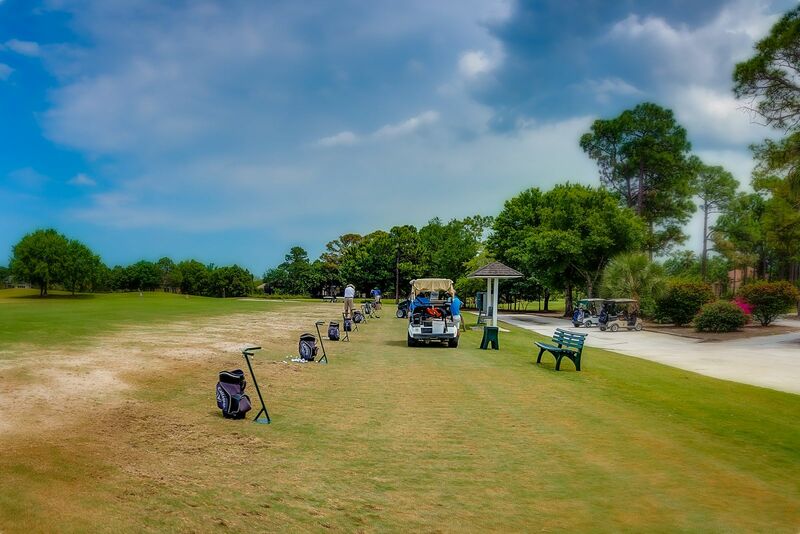 PGA Village and Verano Master planned communities are located on the East coast of Florida in the heart of Florida’s Treasure Coast and St. Lucie West. As an experienced Florida Buyer's Agent you can expect us to find the perfect home of your choice at the perfect price and terms, at no additional cost to you. If there are any homes that you would like to know more about, please send us the addresses or listing numbers and we'll be happy to research them and provide you with additional information. The Legacy Golf & Tennis Club at PGA Village is a non-equity private club offering 27 holes of fantastic golf for all skill levels. The home to a 7,023 yard championship courses that speak for themselves. 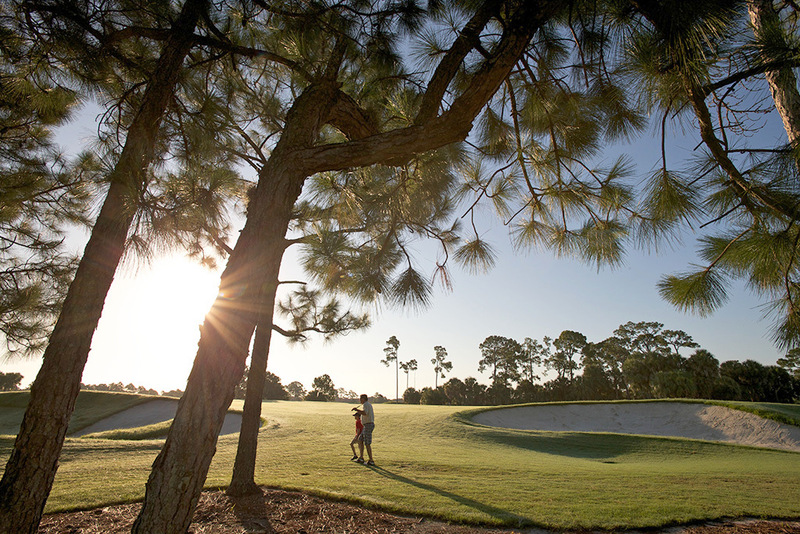 Designed by legends Tom and Jim Fazio and Pete Dye, the community’s championship golf courses were designed to surround golfers and protected species in the serenity of a 430-acre wildlife sanctuary. The PGA Golf Club also includes a 6-hole short course, plus the new PGA Learning Center with over 35 acres of golf fun for players of every age and skill level. PGA memberships range from affordable single and family to a premier golf membership for extremely active golfers. Home owners are not required to join the club. The Tennis facility boasts six har-tru lighted courts, with a fully stocked shop for apparel or repair needs, as well as individual or group instruction. Sun yourself on a large pool deck and enjoy the Olympic-size heated swimming pool, which overlooks the driving range, practice course and tennis courts. This is a delightful way to spend your day at PGA Village. The clubhouse offers abundance of social activities with a casually elegant dining experience, a popular place to meet with friends and neighbors of the community. PGA memberships range from affordable single and family to a premier golf membership for extremely active golfers. PGA Village residential real estate market is currently “Red Hot” with affordable golf villas, condominiums & detached single family homes. Contact Bold Real Estate Group for exclusive inventory of homes. We encourage your visit and will be happy to assist you. PGA Village Townhomes & Villas Unfurnished & Furnished Townhomes & Villas priced with one & two car garage from $149,900. PGA Village Homes Unfurnished & Furnished detached single-family homes priced from $229,900 to $1,299,900 All real estate inquiries should be directed to Bold Real Estate Group. PGA VILLAGE VERANO Port St Lucie is an all-inclusive resort lifestyle private community located in Port St Lucie Florida just 10 miles from the Atlantic Ocean. PGA VILLAGE VERANO private gated community features magnificent 13,000 s/f state-of-the-art Club Talavera fitness center including full-time lifestyle & activities director, fully calendar of events, aerobics, pilates, zumba, water-walking indoor pool, dance class, yoga, spinning room, four lighted Har-Tru tennis courts, basketball courts, bocce ball courts, tot playground, barbecue & picnic area, heated indoor lap swimming pool and spa, sauna, fully equipped men’s and women’s locker rooms, massage area. Outdoor resort-style heated pool and spa overlooking beautiful lake, basketball courts, golf cart parking. New 19,000 s/f Talavera Social Club features beautiful banquet hall & demonstration kitchen with bar, dressing rooms, gentlemen and ladies lounge, coffee bar, library, covered patio & inside lounge, billiards, card rooms, arts & crafts and much more! The residential market at PGA VILLAGE VERANO is the perfect time to purchase your new home with a wide selection of exclusive home designs featuring single family homes with two or three car garage, golf, lake or nature preserve view, spacious attached villas with double car garage, lanai, new appliances, ceramic tile in living areas and much more. PGA VILLAGE VERANO offers concrete block construction, impact glass windows, Mediterranean “s” tile roof, gourmet kitchen and appliances, exterior maintenance, pest control, 24/7 manned gated entry. HOA at VERANO includes cable TV, internet service, individual home lawn maintenance, community landscaping, irrigation, fertilization, pruning, community pest control, manned gated entry and access control, high speed internet, alarm monitoring to a central station, street lighting. Parking space in the garage for golf cart in selected models. PGA VILLAGE VERANO To Be-Built Homes with two and three car garage, stainless steel appliances, impact glass, granite countertops, 42" cabinetry and luxurious master bath with soaking tub, ceramic tile, spray foam insulation. New home models starting from 1,515 over 3,100 square foot featuring two bedrooms plus den, ten foot ceilings and much more! PGA VILLAGE VERANO Ready Now Single Family Homes featuring upgraded gourmet kitchen, crown molding, ceramic tile and much more. Selective homesites offering golf, nature preserve or lake view. Contact us today for list of available ready home to close in 30 days or less!!! PGA VILLAGE VERANO Ready Now Golf Villas with double car garage, appliances, impact glass, lanai, ceramic tile in living areas except bedroom, new construction. All real estate inquiries should be directed to Bold Real Estate Group. Marina: A variety of marinas and charters nearby, easily accessed, along the coast. Fitness: Health South is a full-service golf fitness center on the grounds of PGA Learning Center. Recreation: Swimming area with heated spa, adult and children’s pools. PGA Learning Center™: The 35-acre, state-of-the-art learning center includes a full-time PGA professional staff. Health Care: Three nearby hospitals, Lawnwood Regional Medical Center, St. Lucie Medical Center and Martin Memorial Health Systems provide complete modern medical care including 24-hour emergency services. Martin Memorial’s St. Lucie West Walk-In Clinic is located in the St. Lucie West area, St. Lucie West Heart & Family Health Institute, Eye Institute, Physicians to Women. Lodging: One and Two bedroom or guest suite Golf Villas located in PGA Village offering private garages, decks, and screened patios. FREE access to 6-holes Short Course. Heated swimming pool, picnic & barbecue areas. Fully equipped kitchens. Two onsite restaurants. Contact Bold Real Estate Group for reservations. Location: 40 minutes north of West Palm Beach and 90 minutes south of Orlando. Near shopping, beaches, spring training camps of the NY Mets, Montreal Expos, Florida Marlins and the St. Louis Cardinals. 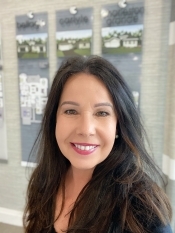 Bold Real Estate Group is your one-stop source for residential homes in Port St Lucie, St Lucie West, Stuart, Jensen Beach, Hutchinson Island, Palm City and Vero Beach real estate. Our site makes your search for Florida Real Estate very easy. The site includes all Florida properties for sale or rent in a searchable online database by Listing City or MLS Number. We assist Buyers, Renters and Sellers Locally, Nationally and Internationally. Bold Real Estate Group strives to provide the highest standard of real estate service by combining today’s technologies with yesterday’s caring attitude. Our goal is to give our clients the confidence to know that their transaction will be completed successfully.